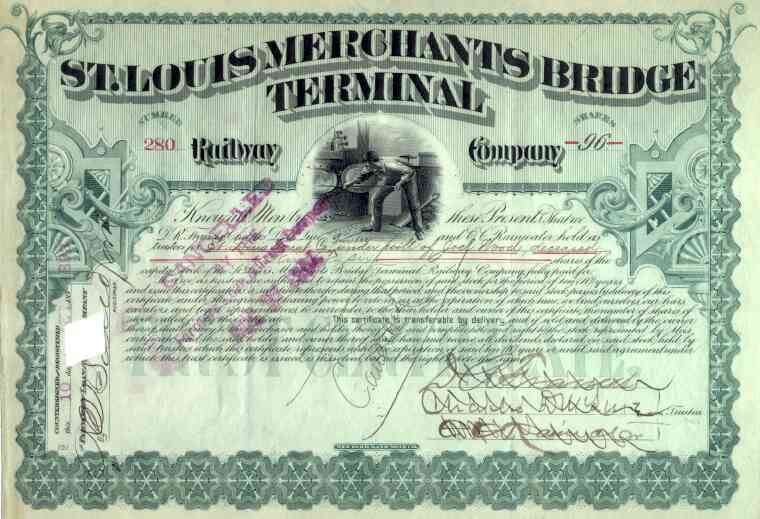 1893 St Louis Merchants Bridge Terminal RW Stock Certificate. Attractive midwestern railroad scripophily document with vignette showing fireman stoking boiler. VF+ condition.